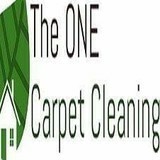 The Best carpet and upholstery service in the Vancouver and surrounding area. Winner of Best of Vancouver 2013 - 2017 with Homestars.com Featuring the patented Rotovac carpet restoration method. Canadian owner operated quality service. To keep your Abbotsford carpets clean, you need to ensure that you're going further than just your weekend vacuuming. 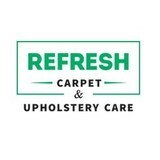 While vacuuming acts as a good way to pick up the bits and pieces that can simply be removed by sucking them up, and that's where the experts at Refresh Carpet Clean & Abbotsford Upholstery Care come in! Using our truck-mounted carpet washing systems, our Abbotsford carpet cleaners work to ensure that we flush your carpets and rid them of what a vacuum on its own simply cannot. Our customers are usually REPEAT customers Serving Vancouver, Burnaby and New Westminster Prices are competitive – service is exemplary We treat your home, office or retail space with care. Your satisfaction is guaranteed. 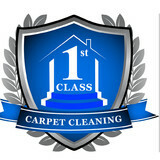 First Class Carpet Cleaning has enjoyed one of the best reputations in our community for their attention to detail and obsession for service excellence for over 19 years. We are the cleaner, drier, and safer choice for carpet and upholstery care in the Chilliwack and upper Fraser Valley area! Voted #1 for customer satisfaction, we've been serving the area for over 12+ years now. We use the patented Rotary DriMaster in our cleaning process. This superior steam cleaning tool simultaneously flushes and removes deeply embedded soils while the rotating head cleans all sides of the carpet fibres. Our natural orange citrus based cleaning solution is pet and child safe as well. When you have your carpet cleaned by OptionsPlus Carpet & Upholstery Cleaning in Vancouver, you have nothing to lose – except carpet stains, spots, odors, and ground-in dirt and grime. Our carpet cleaning is backed by the OptionsPlus Guarantee of Satisfaction and delivered by our professionally trained carpet cleaners. Be sure to check read about Client Satisfaction in our Customer Testimonials and don’t forget to review Special Offers from OptionsPlus Carpet Cleaning. Carpet Cleaning Vancouver Pros is a top quality carpet cleaning company in Vancouver Island, Richmond, Burnaby and surrounding area. We offer carpet cleaning, area rug cleaning, upholstery cleaning, tile and grout cleaning, mattress cleaning, mild dew removal and much more in Vancouver BC. Our carpet cleaners pride themselves for being the professional carpet cleaning experts in this business and we achieved this through years of experience, dedication and commitment in our cleaning services to our customers that keep coming back and our excellent reviews prove that. We offer a wide variety of green carpet cleaning services for both residential and commercial for big and small businesses that include steam cleaning and much more. We have been cleaning for 35+ years and care about customer satisfaction. When you hire us we will show up on time, be courteous, perform the job seamlessly and leave your home or office in immaculate condition. If you have severe stains, we have the experience needed for successful removal of these kinds of stains. Sometimes pets have accidents too. We can remove odors and stains caused by pets. You can feel good about hiring us to take care of pet accidents because our cleaning products are pet friendly. Since we do not use harsh chemicals, you won’t have to worry about breathing in any harsh fumes. One benefit of hiring us is that we will not only remove stains and odors, but we can also remove allergens form the air. At Zen Carpet Cleaning, we offer the best cleaning services in Vancouver. Our goal is to bring freshness and peacefulness in your home, and by extension, your life. We want to take off the burden of cleaning your carpets and upholstery and give you the chance to take some time for yourself. Dura Cleaning aspires to build long-lasting relationships with customers based on trust and outstanding quality and consistency of service. We strive to enrich the lives of our customers by providing a healthy living and work environment and contributing to a healthy lifestyle while protecting the natural beauty of our surroundings through the use of Eco-Friendly cleaning products and equipment. Our goal is to fuel company growth by always delivering unparalleled value to our clients. Olympic Building Services is a janitorial cleaning company that offers full office cleaning (janitorial service), carpet cleaning, upholstery cleaning, stripping, sealing and waxing tiled floors, scrubbing and sealing concrete floors, window cleaning in the Metro Vancouver BC area. 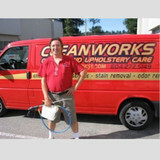 We are based out of kitsilano, Gentech Carpet & Upholstery Care. We Offer Home Carpet Cleaning , Upholstery Care and Commercial Steam cleaning in such area's like Vancouver, Burnaby, New Westminster ,Coquitlam and also the North shore. 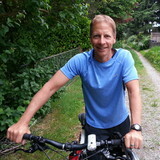 We also serve Whistler, Chilliwack and Squamish Area's. What should I look for in a local Burnaby carpet cleaner? Not all Burnaby carpet cleaning companies use the same methods, but there are a few common things that they should do to for a quality job. Make sure they do an analysis on the area you need cleaned and recommend the best course of action — are there large stains or high-traffic areas that need extra treatment or attention? Also, make sure they provide quick drying times so that you can be back in your home faster; that means hours, not days! A good carpet cleaning service in Burnaby, BC should move furniture (within reason) and put it back in place when they are all done; don't let them charge extra to do this. Another important factor to look out for is whether or not the carpet cleaners use chemicals, and if so, they should be asthma- and allergy-friendly. This is especially important for households that have children or pets. Lots of Burnaby carpet cleaning services also clean rugs. Rug cleaning can involve anything from a simple wash to complete re-weaving or foundation work. Make sure the local rug cleaner you choose has experience with the types of rugs you need serviced, especially if they are hand-woven or Oriental rugs. What should I look for in a local Burnaby upholstery cleaner? Upholstery comes in many more varieties than carpet and rugs, thus needs cleaning tailored to each specific blend. Even if you don’t know what material your sofa or chair is made with, a good upholstery cleaning service in Burnaby, BC will be able to identify it and treat it appropriately. Some textiles require dry cleaning and that can’t be done in home, so if that’s the case, check with the upholstery cleaner and see if they offer pickup and drop off services. Leather cleaning is a bit different and often involves more restoration and conditioning than actual cleaning. Make sure the Burnaby furniture cleaning service specializes in leather if you are considering them for the job. Find Burnaby upholstery and carpet cleaning services on Houzz. Narrow your search in the Professionals section of the website to local carpet cleaners in Burnaby, BC and read reviews and ratings to find one that fits your needs.